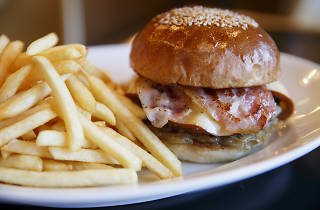 Premium burger purveyors Golden Brown's second outpost (their original restaurant is in Meguro's Higashiyama) has become a favourite among Omotesando shoppers in search for something power-packed to fill up on during a day of heavy money-spending. As their 'Fast Good' slogan trumpets, these beefy creations maintain an admirable level of quality, best revealed in their signature Golden Brown Burger. 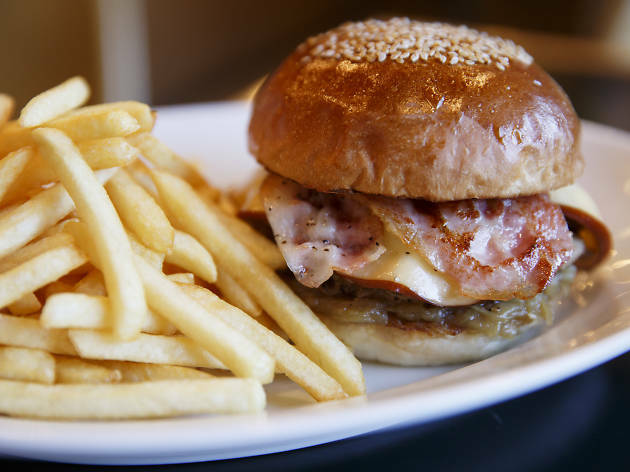 A pure beef patty is combined with fresh mushrooms and Dutch smoked cheese, accented by the sweetness of onions sautéed an amber brown, and left without the otherwise obligatory leaf of lettuce for an aromatic, meaty finish. The buns are also way lighter than they look, so even dieters may be swayed here.